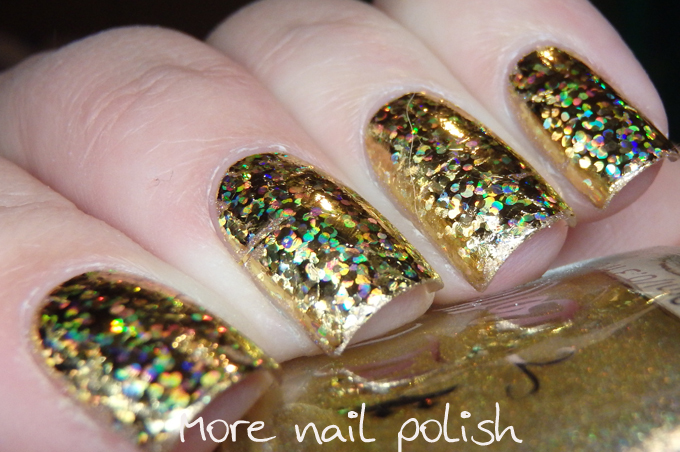 For day number 2, I have some gold foil nails inspired by some gold wrapping paper. The wrapping paper is from a five roll pack that we recently purchased from Costco. It is seriously the best wrapping paper I've ever used. It's thick and has some sort of plasticy film over it so it doesn't tear. Plus each roll has two sides with different prints. This gold paper is plain satin finish gold on one side and on the other side it is a mottled tarnish gold look with a super strong holo dotted finish. It was such as surprise when we opened the roll to wrap a birthday present to find the amazing holo on the inside. 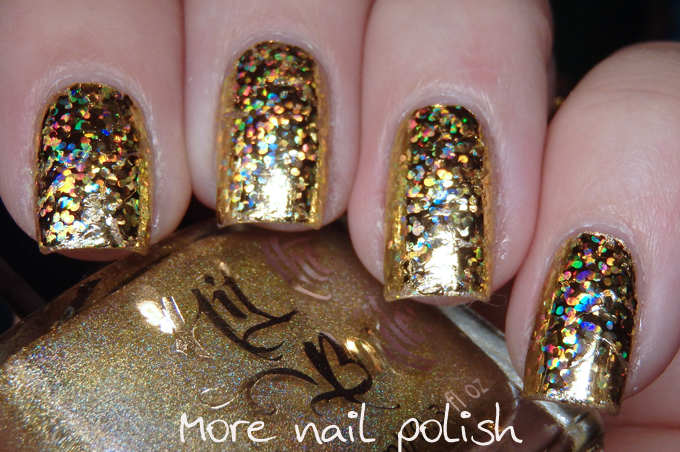 I happened to have a tiny little square of gold holo foil that was a perfect match for the paper, and thus this weeks gold foil nails were created. Now I've actually used this foil before, and I just did a blog search to find it. Can you believe it was 7 years ago?!? 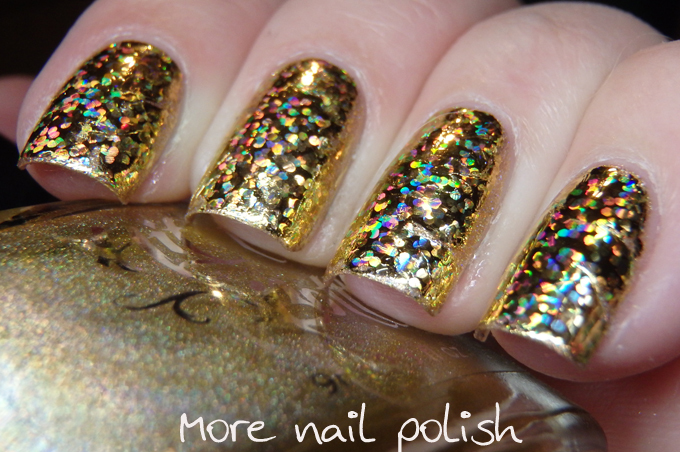 Way back in May 2010 I did this post, which was one of the first times I'd ever used foils. 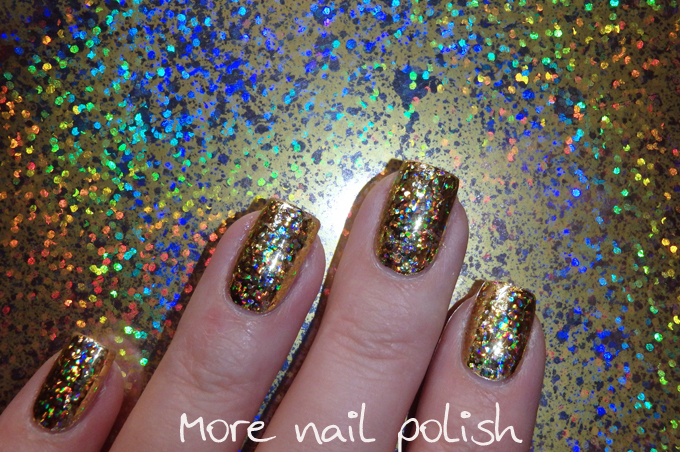 I suffered a terrible fail that day as I learnt how most top coats ruin the effect of foils. Having learnt from that experience, I ensured I topped this mani with a water based top coat. 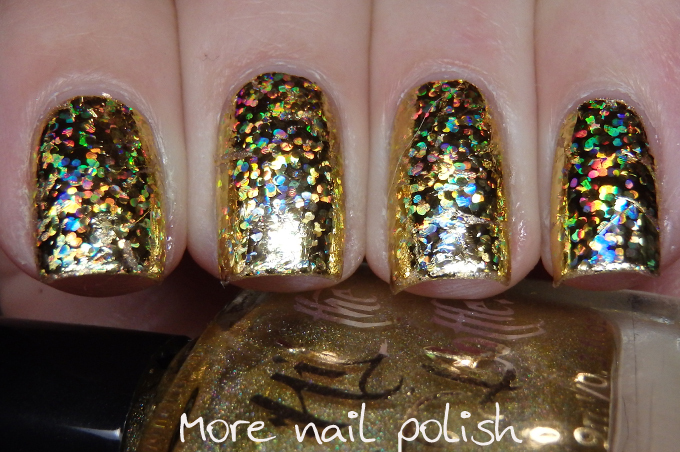 I used FNUG Aquabase as my top coat. Fun look! Talk about awesome paper! Good One. What is the brand of golden paper you used here?